This collection of late beat poet Jack Micheline’s work is a true testament to the life and work of a great, largely unheralded artist. First published in 1997, this now revised edition was produced and published by friend, editor and San Francisco Public Defender Matt Gonzalez with an assist by Jack’s son Vince Silvaer. This book is an amazing labor of love in terms of both the work and production which includes not just poetry, but Jack’s art, photos, flyers, biographical material and an appendix of quotes from many famous and not so famous writers, posts and artists who know Jack and his work. This edition also includes letters from Charles Bukowski on Micheline, and a section covering the Skinny Dynamite trial for obscenity. 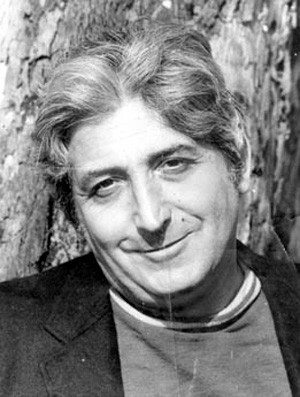 Jack Micheline was an original voice in American letters, and Sixty-Seven Poems makes a case for this that is beyond reproach. Not just beat or street, he was actually a very accomplished writer and poet. He spent his life pounding away at the track, the typewriter, paint with brush, pen and ink, and the tempest of his everyday existence, all found here within these pages. He was a long shot player who always pulled for the underdog. A common man with a genius for the ages whose words and work will live long thanks to the hard work of Matt Gonzalez. Jack has been kissed by the angles on this one. 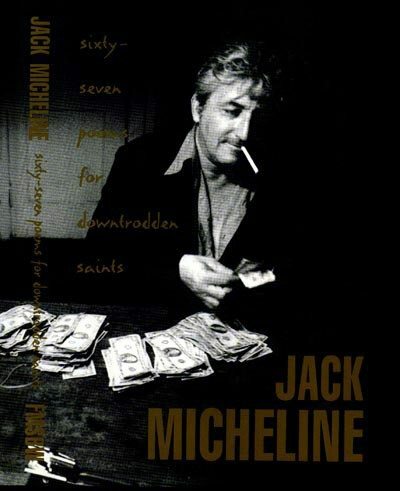 “Sixty-Seven Poems For Downtrodden Saints” is the last book completed by poet, Jack Micheline, prior to his death. It is an important publication and one of Micheline’s finest, representing a great variety of Micheline’s body of work, and includes many unique photos and graphics of “Beat Generation” writers. This book is a treasure. Jack Micheline gregarious, boisterous, unstoppable, his energy, edgy optimism and righteous anger gave him a high-octane approach to life. Over the years, he endured, scrambled in the margins, grumbled against the suits who ran everything but couldn’t touch freedom to write and paint his heartful, tender ire and optimistic resilience. Like one of those club fighters up against the ropes, Jack always rallied to win another fight. — David Meltzer. Jack Micheline’s poetic diction, unencumbered by the trappings of spiritual violation and rapture, salvages lost innocence and simplicity. His poetry invites us to see the face of God in souls suffering on our city streets: the disparaged and derelict, the destitute and desperate – all those denied dignity by contempt and chaos. —Fr. Alberto Huerta, S.J.